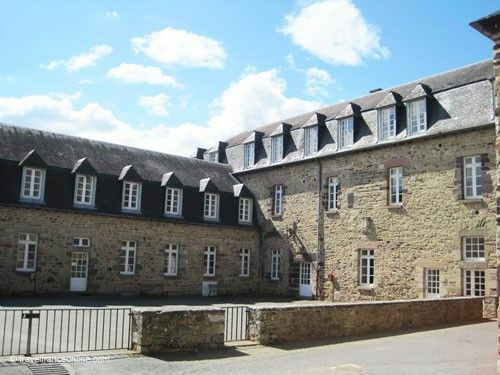 Paimpont Abbey lies in the heart of the Forêt de Brocéliande, a vast forest today known as Forêt de Paimpont. The abbey replaces the monastery that Judicael King of Brittany founded in the 6th century on the bank of a lake. The Celts from Cornwall indeed evangelized Brittany during the 5th century AD. Driven out of their country by the Angles and Saxons, they landed on the shore of Armorique. The Celtic tribes, who had inhabited the coastal region since 6000BC, had named it Armor - the country by the sea. The new comers renamed it Little Britain, which evolved into Britain and Brittany. Their religious leaders were already Christian and became the patron saints of the seven bishoprics they founded in Brittany. Thus appeared St-Brieuc, St-Corentin, St Malo, St-Patern, St-Paul, St Samson and St-Tugdal. The Church of Rome recognized them officially and added their names to the list of local saints. 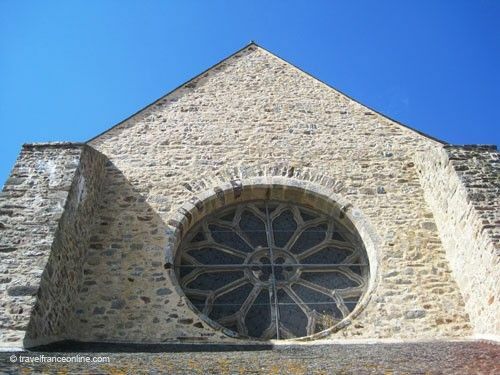 The many abbeys, churches, chapels and calvaries erected during that time still punctuate the Breton landscape. Paganism and Christianity became superimposed, adapted their legends and created this unique culture that is the Breton culture. Breton Saints seemed to be half way between Pagan deities and Christian saints. They were indeed fully part of everyday life and people regularly invoked their protection basically against everything! Judicael converted to Christianity in the early 7th century, and devoted the rest of his life worshiping God. In 645AD, he founded the Benedictine monastery on the bank of the Penpont Lake, the current Lac de Paimpont. The Norman invaders destroyed the monastery during the 9th century, but the monks rebuilt it a century later. However, they pulled it down in the 13th century in order to build the current abbey. They constantly enlarged and transformed the abbey over the centuries. In fact, hardly anything is left of the original abbey. The major transformations occurred though during the 17th century. Paimpont Abbey was indeed enlarged with new convent buildings and cloister, and the church fully re-decorated in Counter-Reformation style. This lavish style was developed in order to overshadow the understated Protestant style, but also to eradicate all traces of the religion introduced King Henri IV. 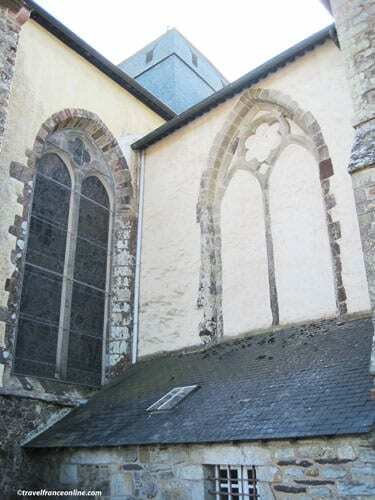 The lay-out of the various buildings pulled down and replaced over the centuries is still visible on the outside walls of the church. 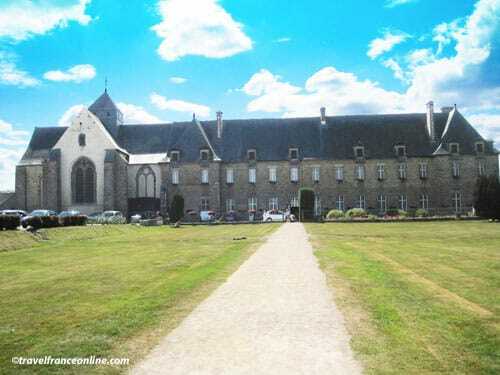 The Monuments Historiques fully restored Paimpont Abbey between 2001 and 2004. The abbey's gardens spread in the woods, on the opposite bank of the lake. 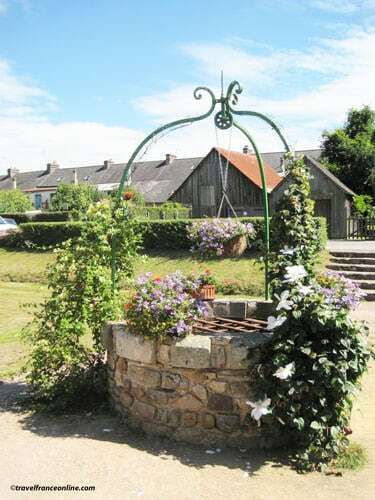 This is where you'll find the Croix de Judicael, a cross erected by an ancient spring. 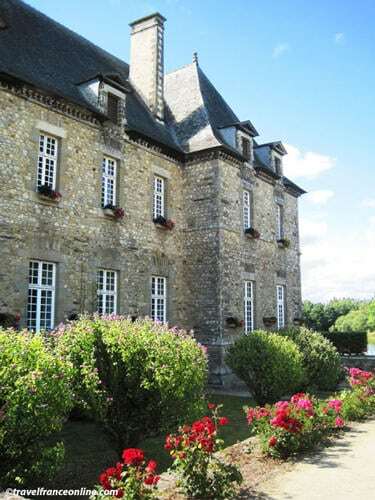 Paimpont Abbey stands right in the centre of the magical Forêt de Brocéliande. It therefore seems to be the crossroads where Christianity and Paganism meet and blend.